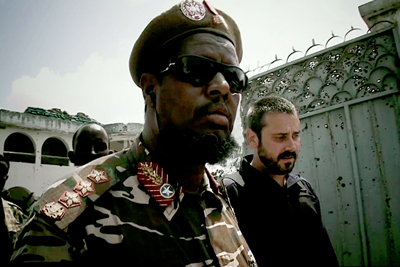 With the ongoing controversy surrounding the use of drones and covert operations in the national spotlight, investigative journalist Jeremy Scahill’s new film Dirty Wars will no doubt have an even greater poignancy. In addition to a country seething over state-sanctioned privacy invasion, the US government may be in store for more inquiries into our military’s shady operations overseas, including night raids and missile attacks on civilian targets, the bankrolling of Somalian warlords, and its ever increasing “kill list” that doesn’t discriminate even against America’s own citizens. What Dirty Wars strives and succeeds at is finding the truth buried in the hidden world of America’s covert wars, from Afghanistan to Somalia, and beyond. The journey takes Scahill and filmmaker Rick Rowley places they didn’t expect, but the results are remarkable. 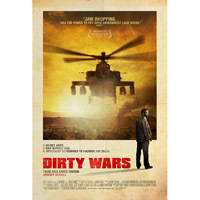 I had the opporutnity to sit with Scahill before the opening of Dirty Wars in Philadelphia, where we discussed the birth of both the film and book Dirty Wars, the effects of shooting a film in war zones, and how film may be the future of investigative journalism. Scahill, a self-described film junkie, also offers some other documentaries worth seeing this year. Cinedelphia: Well first of all, thank you so much for meeting with me, I really appreciate it. Jeremy Scahill: Oh, no problem, it’s actually really weird for me to be sitting on this side of an interview, it’s a little strange. C: I know, I can imagine, I almost want to ask you just about that and your experience working as a journalist…if we had more time (laughs). JS: You can ask me whatever you want! C: Well, I’ve been looking at your previous work, you’ve done radio, you’ve done TV, books, and now film, and I know that when you first started this project you weren’t sure whether or not you were going to do just a book or a film, so I wanted to know what was the moment when you realized that Dirty Wars had to be a film? JS: Well, Rick Rowley, the director of the film, and I have been friends for a long time, and we had talked about doing something together. I didn’t know if it was going to be a film or a series of shorter pieces on the war in Afghanistan. When we went to Afghanistan together, we didn’t have any producers we didn’t have any concept for a film. I had received a grant to do some reporting and I paid for Rick’s plane ticket and we both just crashed together in the same cheap hotel, and rolled around in this little car, and we started to investigate this series of night raids that were occurring in the country. We thought about doing something that looked at the war buried in the war, you know, the special ops stuff. We went down to Gardez in Afghanistan, that was maybe the third place we visited where we were interviewing people that had been victims of a night raid that had gone terribly wrong. We then realized the people that did the raid was this elite force of the US military called JSOC (Joint Special Operations Command). C: And this lit a spark for you in terms of what this film should be about? JS: Well, I remember we had gotten stuck in a sand storm in Jalalabad, Afghanistan, and Rick and I had to crash on the floor of this apartment above a little convenience store. We had to sleep there for the night and there were rats running around. There was a rat that crawled on me, and I remember kicking it off me and it flung onto Rick and then Rick got up and threw the rat back at me, and neither of us could sleep after that. So we talked that night and I said to Rick, I really think you’re right, I think we need to do a film about this. I think we can do a film about JSOC. We didn’t know exactly what that meant but it was pretty much half way through that trip to Afghanistan where I think we both knew that there was something bigger going on. C: One of the things that struck me while I was watching the film, I’m a very visual person, is when you met with these families and they showed you their home videos. Did your reaction to watching those videos and seeing those images dictate how you wanted to film the documentary? JS: Yes, is the short answer. It’s interesting though, there are parts of Afghanistan where there’s no running water and girls don’t go to school, but they have cell phones and cell phone cameras. So you start looking at people’s home videos, and we show little clips of them in the film but we also saw home videos that predate the night raids. Videos just of normal life, and I wish that we could have shown the totality of why I believed this family because we looked at all these videos on their phones, and we saw who these people were. Women in the house without head covers, men and women mingling in the same company, just the most un-Taliban like activities these people were engaged in. You find some human level where you relate to them and you say this could have been us and you develop your sense of empathy for these people. Video has the power to do that, it’s why it was so appealing to me to make a film because you can show people something that’s so real and effect them on a visceral human level. I had never thought about it that way but absolutely that’s true. That’s a big part of why I think we empathize with these families because it did show us things that have nothing to do with the story we were doing, but it showed them as the people they are. C: One of the other things that struck me, was your ability to put yourself in extremely dangerous situations, obviously to get the story and to access this hidden world. I’m wondering if there were times when you couldn’t get the angle that you wanted, or couldn’t quite get the lead that you wanted because you had to be concerned with your safety and the safety of your director and the people around you. Is there anything missing from the film that you wish could have been in there? JS: Yeah, I mean we tried very hard to interview active members of the Taliban and we had actually bought tickets to go down to the central hub of their power base but we ended up calling off the trip because of security concerns from some local folks down there who called and said that we really shouldn’t come. In Somalia, I mean, I have these flashbacks to moments where Rick almost got killed and in retrospect it’s just shockingly stupid that we did that, but hindsight is 20/20. I don’t think I ever would have forgiven myself if Rick had been killed. I remember, there is a scene in the film, you never see what happens to Rick because he has the camera, but there’s a scene where I’m on a roof with the warlord Indha Adde, and we’re behind these sandbags and you hear me say “we got to go,” and you see the camera shake. What happened right before that is Rick was crouched down and there was a balcony around this roof maybe three feet high or so, and Rick’s crouched down and he’s moving along with the camera filming this guy and he’s trying to get a position to film me and I’m watching and seeing that someone is trying to shoot Rick. “Ping,” “ping,” “ping,” the concrete is exploding six inches behind him as the bullets hit the wall, and you know Rick’s head is bobbing back and forth. Rick could have been shot right in the head right there in front of me, and I remember freezing. You don’t know how you’re going to react in a situation like that. Do you scream? Is it going to make it worse or better if you yell? I just froze. It was just so insanely dangerous. I also wanted to go into this city that was being held by this Al Qaeda group in Yemen and we got as far as we could, we got up to the front lines and the people that we were with just wouldn’t take us any further. We tried to negotiate, but at the end of the day I have empathy for their position, I wouldn’t want anyone in harms way because of me getting kidnapped or something. I wanted to get closer to Al Qaeda people and talk to them and Taliban people because I think it’s an essential part of good journalism, trying to talk to all sides. I think we should talk to the people that we are told are the enemy. I also wish we didn’t get stonewalled by the US military, and that they actually provided people to respond to things we were reporting. It’s not about danger there, it’s about secrecy. C: This film is releasing not even a year after Zero Dark Thirty. What do you want the role of a film like Dirty Wars, and other investigative films like it, to be in America alongside Hollywood blockbusters? JS: I think Hollywood is regularly used for propaganda. The collusion of the military and the intelligence apparatus in Washington with big Hollywood studios is a remarkable coup for the militaristic camp. Folks that want the war to continue get to put all their cool toys on display and you can sign partnerships to play with all the big boy guns and all that stuff, and I find it so sickening the way people glorify war. I want people to not think of war as Battleship, or this heroic one raid where the epic bad guy gets killed in the end and freedom and democracy are saved. I want it to also conjure up an image of the little girls that we show in the film whose family members were killed in a cruise missile strike. We wanted to make a film that pushed back against the glorification of war. I think the film Restrepo, that Sebastian Junger made with Tim Hetherington of course, showed the reality facing US soldiers. I think it really did an effective job of relaying what it is like to be a solider. Now, we need those stories of what’s it like to be a civilian, who lives on the other side of the missile. That would be a great achievement, if we had films that said we want to stand for the voiceless and tell their story. C: What are your thoughts on the release of this film across the nation? Do you have any additional thoughts on audience reaction? I’m from Milwaukee WI, I live in New York, but that’s where I’m from and I identify myself as a Milwaukee guy. It’s important to me that this film is playing there because I want folks in middle America to see this film. It’s gone on for too long that only military families have to think about this, families that have loved ones deployed in these wars are the only ones on any given day that have to think about any of this and thats just wrong. We all have an obligation, a moral obligation but also an obligation of our citizenship. We should be caring about this. It’s done in our name, with our money and if we ignore the impact of our policies, we kill innocent civilians and create new enemies. Everyone should have to internalize a story of someone whose lost something as a result of one of our wars. So that you don’t talk about it like some statistic or an incident that you read in the paper. It’s important for all of us to have real names and faces to remember when we talk about this because if you dehumanize people and you refer to them as collateral damage its much easier to justify your own wars or belligerent policy. And when you are aided and abetted by Hollywood culture, it makes it very easy. JS: No one has asked me that question about the Hollywood thing, that’s interesting. C: Oh really? It’s one of the first things I thought about! Well my last question is, do you think the future of investigative journalism can be helped by documentary film? JS: I’m a film junkie, I love film, I watch multiple films a week. I don’t think I ever imagined that I would be making a film, or would be in a film, but I love film, and why do I love it? Because I think it’s one of the most effective ways of reaching people, of touching them and changing them. It can instantly change the way people see a reality they thought existed and they see it in a totally different way. When it’s done well, it can have a tremendous impact and that’s the whole point of investigative journalism. You’re trying to have an impact that ultimately changes things for the better. C: What films have you seen recently? Anything that excites you? I think there’s some really exciting filmmaking happening right now. I just came back from a film festival and there’s a film After Tiller, a fantastic film about the struggle to keep women’s health care accessible. There’s a film called Gideon’s Army, which is about public defenders. These are all films that have social value to them. You know, my favorite documentary that I’ve seen this year is a film called These Birds Walk, which is about a runaway kid in Pakistan. It’s one of the most gorgeous, profound films I have ever seen. The Taliban are barely mentioned in it, drone strikes aren’t mentioned in it, it’s not really about Pakistan but somehow it tells a deeper story about Pakistan than journalism is capable of. If you haven’t seen it, it’s a fantastic film. 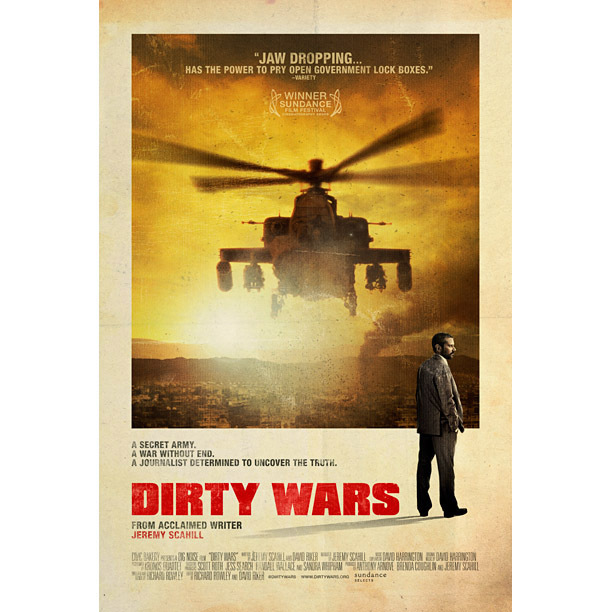 Dirty Wars opens this Friday at the Ritz Five.